The Platform System provides your cat with the perfect perches to relax. Your cat will enjoy the 12 inch high platform with two decks to give your feline friend plenty of space. The platform system comes completely attached. The Platform System provides your cat with the perfect perches to relax. Your cat will enjoy the 12 inch high platform with two decks (front deck 23″w x 8″d, rear deck 23″w x 5.5″d). This will give your feline friend plenty of space. The platform system comes completely attached. 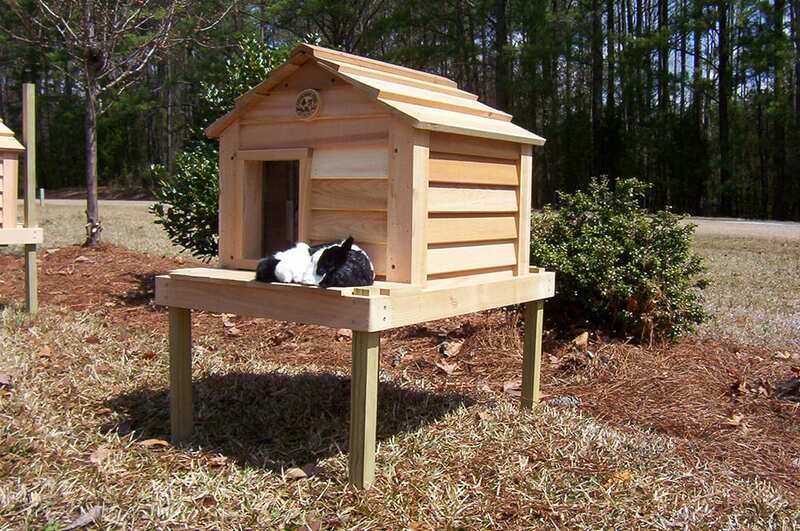 Simply insert legs into platform, insert screws, and set in the small cedar cat house.